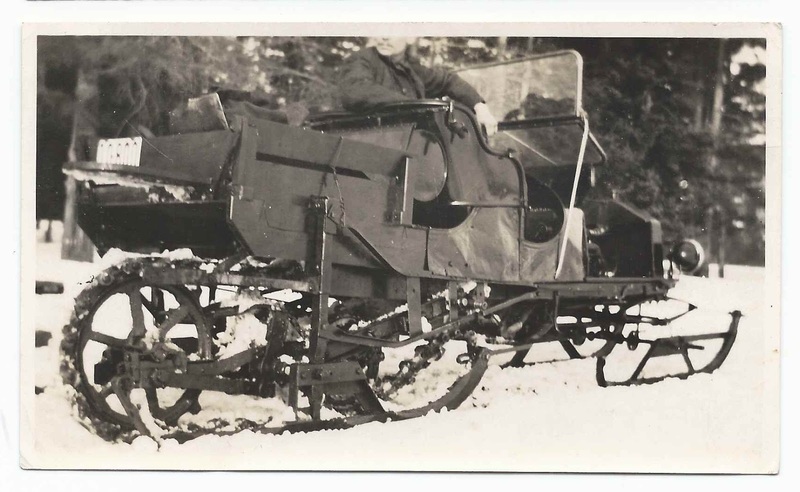 Found with a collection of 1920s photographs of Aroostook County, Maine, was this interesting photograph of an experimental snow motor car, dated 20 March 1920. 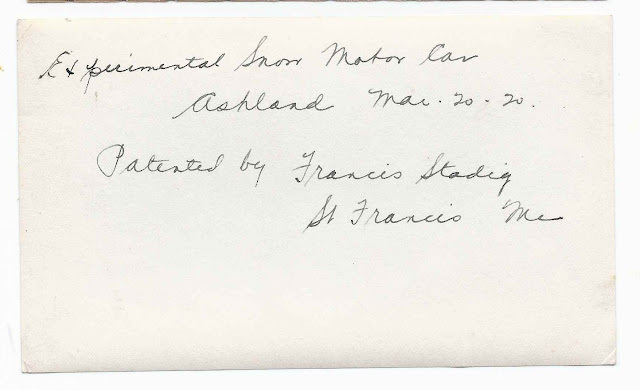 The identification on the reverse indicates that the photograph was taken at Ashland, Maine, and that the machine was patented by Francis Stadig of St. Francis, Maine. More information on Francis Stadig can be found here. The site indicates that he was born 22 August 1888 at New Sweden, Maine, the son of Olaf L. Stadig and Ella Beda (Becklin) Stadig, and that he was an expert mechanic. He died 2 May 1926 after a hard life working in the woods of northern Maine. Boy, it's like the first snowmobile, isn't it?